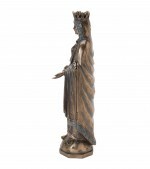 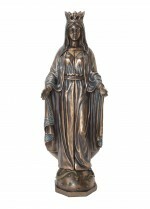 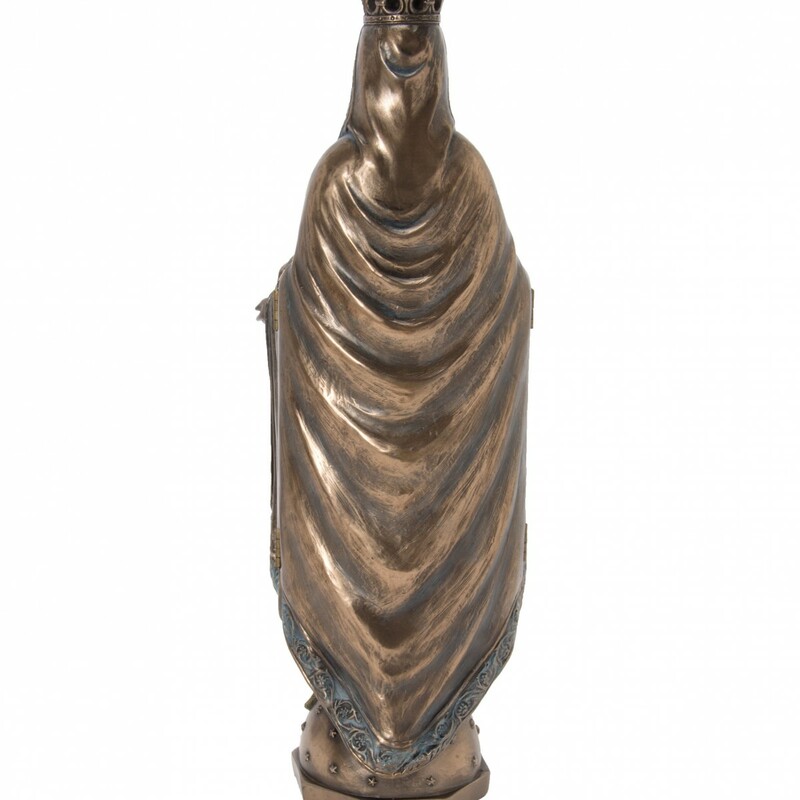 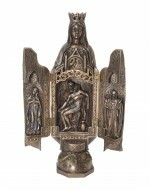 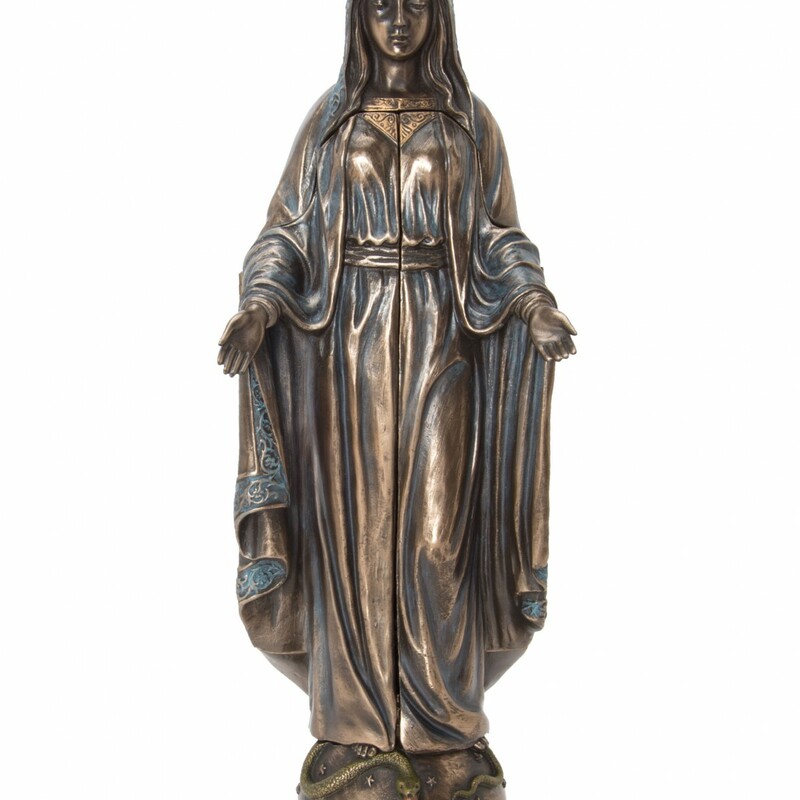 This remarkable statue of Our Lady Queen of Heaven is made from a bronze colored hard resin and is lightly hand painted. 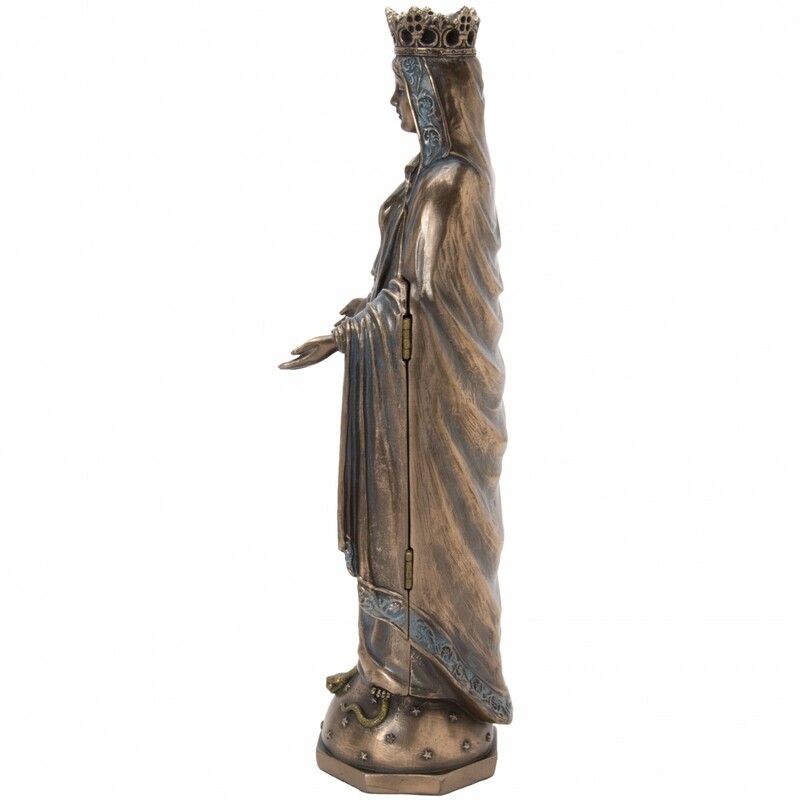 Mary is depicted wearing a marvelous regal robe and crown to signify that she is Queen in the Kingdom of Heaven. 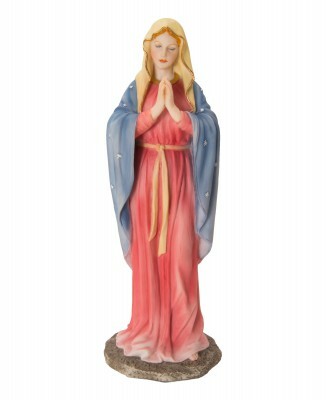 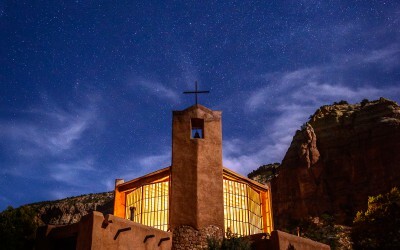 Her arms are outstretched toward the world to show that she intercedes on our behalf. 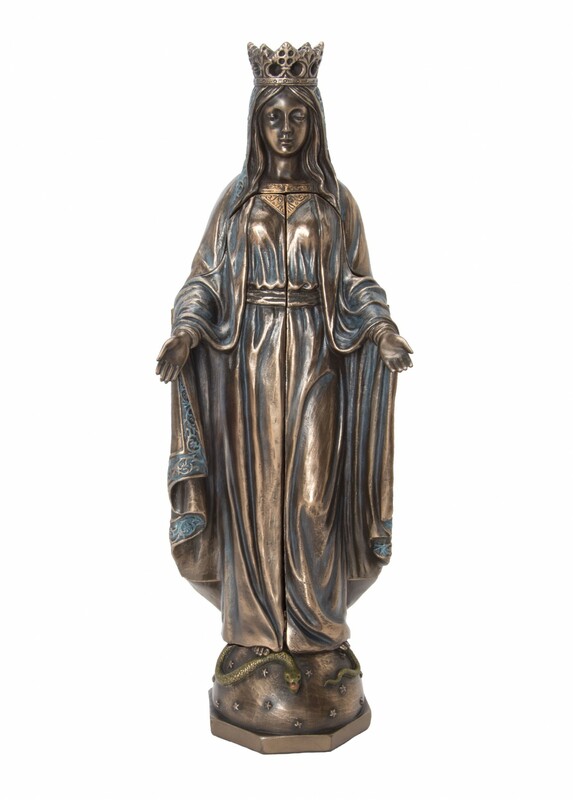 She stands on top of a snake that symbolizes God’s defeat of Satan through Mary and the final triumph of good over evil. 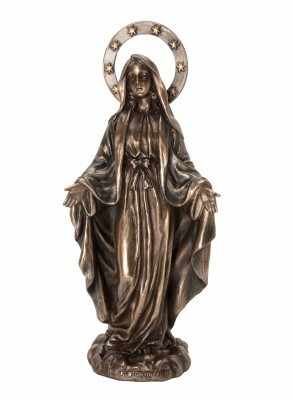 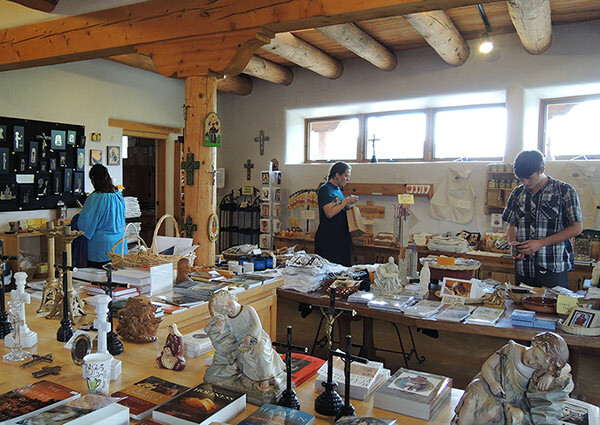 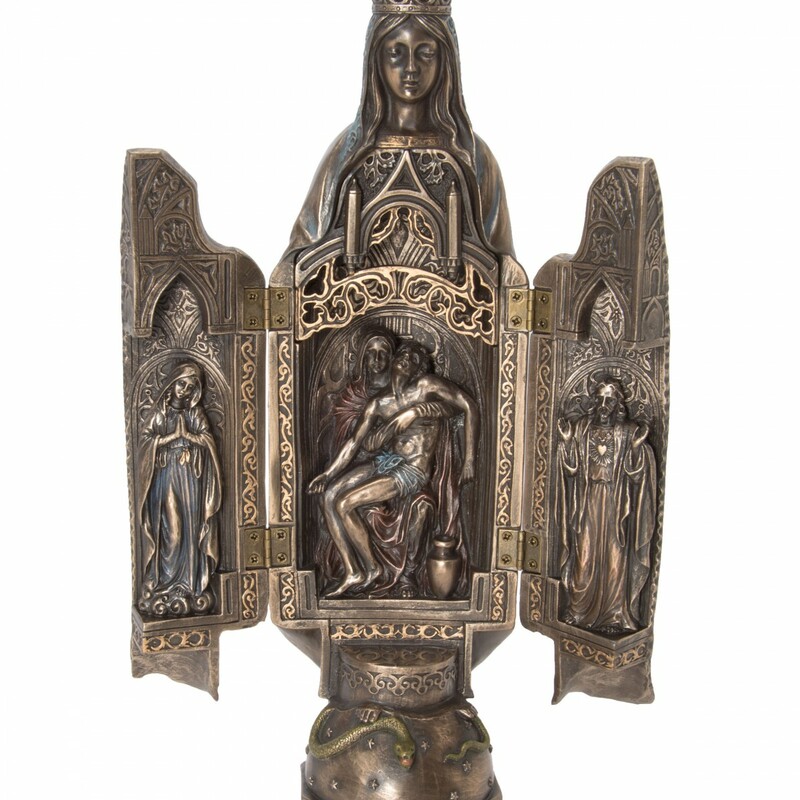 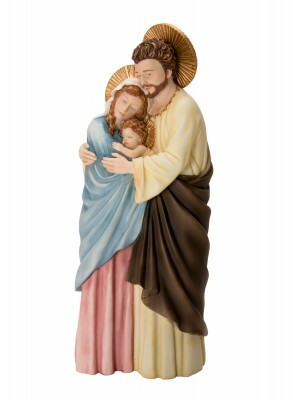 This statue opens up to reveal three more images: Christ displaying his sacred heart, Mary holding in her lap the crucified Christ, and Mary immersed in contemplation. 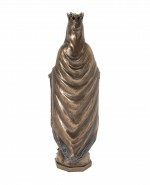 A very lovely addition to either home or office and one that will evoke interest from visitors.